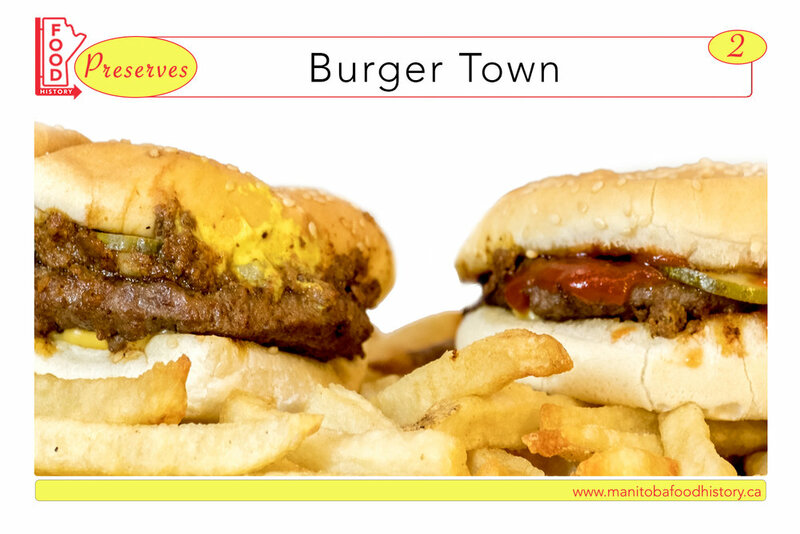 John Ginakes (proprietor of Winnipeg restaurants including Thunderbird and Johnny G’s) and Demitris Scouras (Red Top) give us a glimpse into the community business networks established by post-WWII Greek immigrants that created some of Winnipeg's beloved burger joints. John Ginakes and Demitris Scouras, interviewed by Zachary Hamilton, December 15, 2017 in Winnipeg, MB. Digital Audio Recording. Manitoba Food History Project, “Winnipeg Interviews," Oral History Centre Archive, University of Winnipeg, Winnipeg, MB. Agyeman, Julian, Caitlin Matthews, and Hannah Strobel. Food Trucks, Cultural Identity, and Social Justice: From Loncheras to Lobsta Love. Cambridge MA: MIT Press, 2017. Gvion, Liora and Naomi Trostler. “From Spaghetti and Meatballs through Hawaiian Pizza to Sushi: The Changing Nature of Ethnicity in American Restaurants.” The Journal of Popular Culture 41, no. 6 (December 2008): 950-974. Hurley, Andrew. “From Hash House to Family Restaurant: The Transformation of the Diner and Post-World War II Consumer Culture.” Journal of American History 83, no. 4 (March 1997): 1282-1308. Lovell-Troy, Lawrence A. “Ethnic Occupational Structures: Greeks in the Pizza Business.” Ethnicity 8 no. 1 (1981): 82-95. Nash, Alan. “From Spaghetti to Sushi: An Investigation of the Growth of Ethnic Restaurants in Montreal, 1951-2001.” Food, Culture & Society 12, no. 1 (2009): 5-24. Plummer, Brenda Gayle. “Restaurant Citizens to the Barricades!” American Quarterly 60, no. 1 (March 2008): 23-31. Ray, Krishnendu. The Ethnic Restaurateur. London: Bloomsbury, 2016.